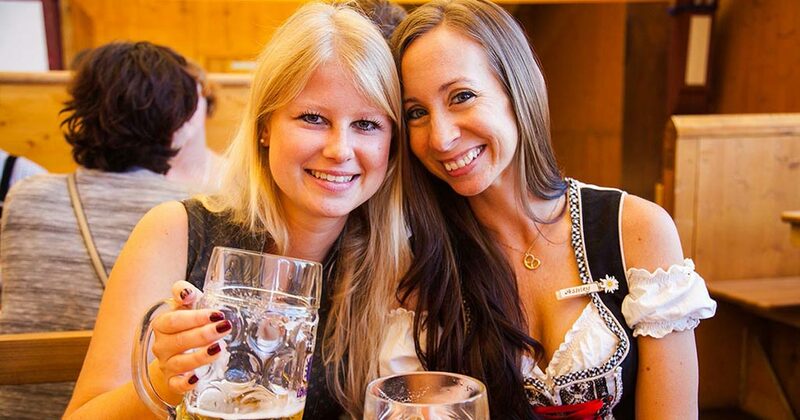 Oktoberfest packages & tours with accommodation at Munich’s best hotels just minutes from the festival grounds. With premium 3-star, 4-star and 5-star (on request only) hotel options available, all our Oktoberfest packages in Munich include beer tent reservations and professional tour guides. 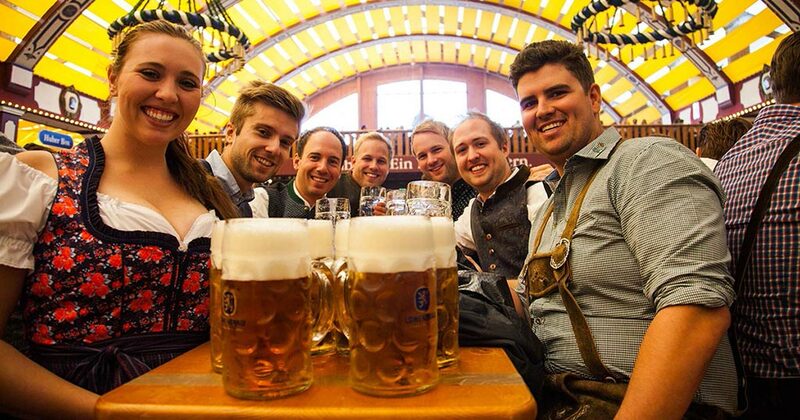 With a Gold rating on TourRadar, these are the best-available Oktoberfest tours in Munich. See here for a full list of what’s included. Hotel Senator – closest to festival grounds! Four Points by Sheraton – best available! All prices are in EURO and based on twin-share / double occupancy. Single, triple & quad room accommodation available on request. View www.xe.com for conversion rates to your currency. Want to stay longer or perhaps these dates don’t suit? Then let us know we can customize our packages to suit your requirements. Location, location! You’ll be staying at the best hotels in Munich, with some just a 2-minute walk from the main entrance of the festival grounds. 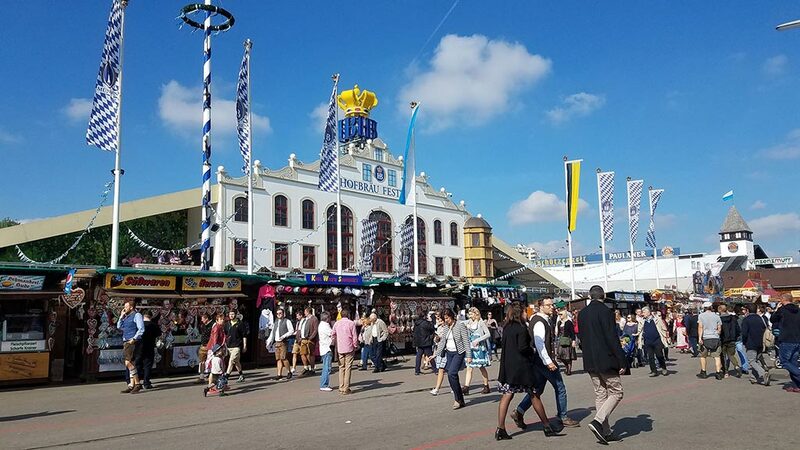 These are the very best Oktoberfest packages available, and we don’t just meet you in the lobby and point you to the festival grounds – our professional tour guides will accompany you to the beer tents and are available for the duration of your stay. 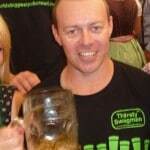 Why choose Thirsty Swagman’s Oktoberfest Tours? 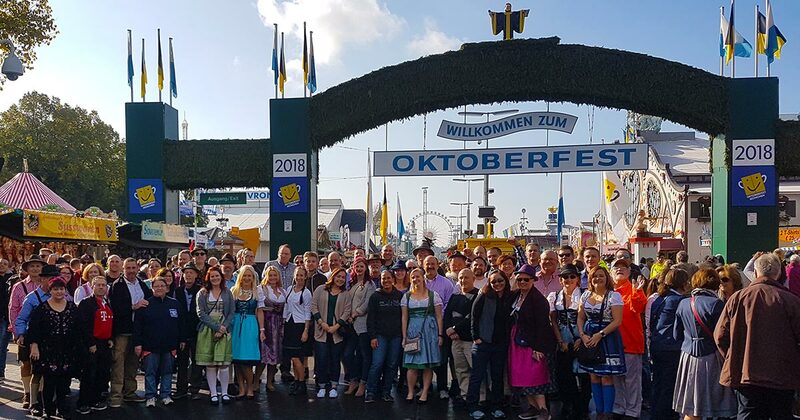 Our Oktoberfest tours have consistent 5-star ratings and a Gold rating on TourRadar, the word’s largest online marketplace for tour operators. Our professional tour managers are the most experienced in the business and at each hotel option we have local, bilingual tour guides who live and breathe Bavaria. And yes, they’ll raise beers with you in the beer tents! Meet & Greet your thirsty friends. We’ll have a Meet & Greet at 2pm & 5pm at the hotel bar where you’ll meet the Thirsty Swagman crew and some of your fellow beer connoisseurs. You’ll also get your welcome pack and all the info you’ll need for your Oktoberfest package. Most people choose to walk around the festival grounds today and enjoy some of the rides and yummy foods on offer. Hofbräu Tent. There will be 2 group meet-up times today (9:45am & 2pm) and it’s highly recommended you make it to the first one. We will take everyone to the non-reserved area of the Hofbräu beer tent which can be extremely difficult to get into later in the day. This tent packs out early and is one of the most popular beer tents at Oktoberfest. Beer tent reservations are included at one of the big tents today. These include vouchers for lunch and 1 or 2 beers (varies for each tent). Your tour guide will accompany you to the allocated tables. Average group size is approx. 100 to 150 people. Check-out of hotel. 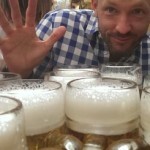 You’ve raised beers at the greatest festival on earth – PROST!